Oakland police on Monday released a photo of the person they believe is responsible for a hit-and-run collision that left a mother and her young son dead and another family member critically injured. Police identified the suspect as 27-year-old Rasenoch Allen. Authorities are offering a reward of up to $25,000 for information that leads to Allen's arrest. The deadly hit-and-run happened Saturday night at the intersection of 26th Avenue and Foothill Boulevard, according to police. The driver of a black two-door Mercedes-Benz was traveling westbound on Foothill Boulevard when they hit the three family members as they were crossing the street in a marked crosswalk. 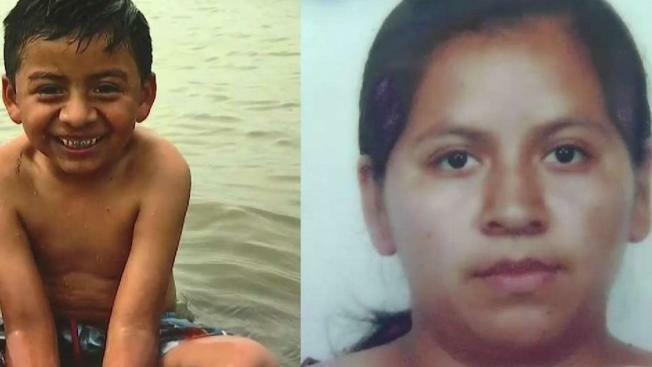 Angel Garcia-Vasquez, 6, and his mother, 30-year-old Alma Soraya Vasquez, did not survive, according to police. The boy's 20-year-old uncle was taken to a hospital where he is listed in critical condition. "I have two kids left," husband and father Anselmo Garcia said Sunday. "That's it. I lose my whole family. I need some help, please. I need help." A GoFundMe page has been created for the family. The driver fled the scene of the collision without providing information, police said. The car was later found abandoned in another part of Oakland. Anyone with information about Allen is encouraged to call the Oakland Police Department's Traffic Investigation Unit at 510-777-8540 or Crime Stoppers of Oakland at 510-777-8572.